The 2nd of September is Indigenous Literacy Day, a day where all Australians can do something to help Close the Gap on Indigenous disadvantage. We like to think of ourselves as a lucky country. An island continent where every child has access to books and the tools which make reading possible. This is a right, not a privilege. But for some, this is not always the case. 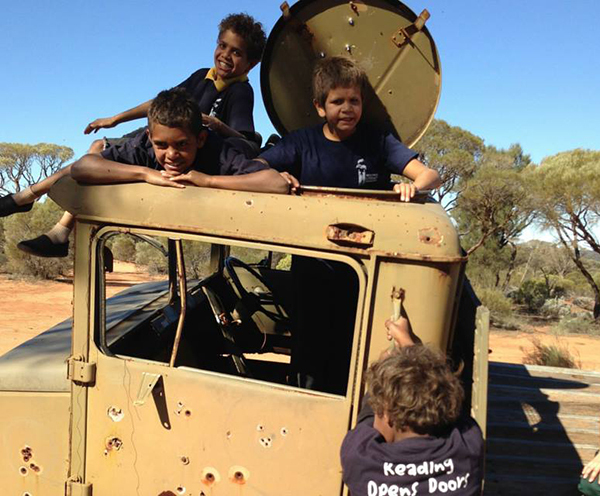 Between 40% and 60% of Indigenous children in remote locations across Australia are achieving below minimum standard reading in year 3, and last year only 34.9% met or exceeded the national minimum standards for Year 7 reading. 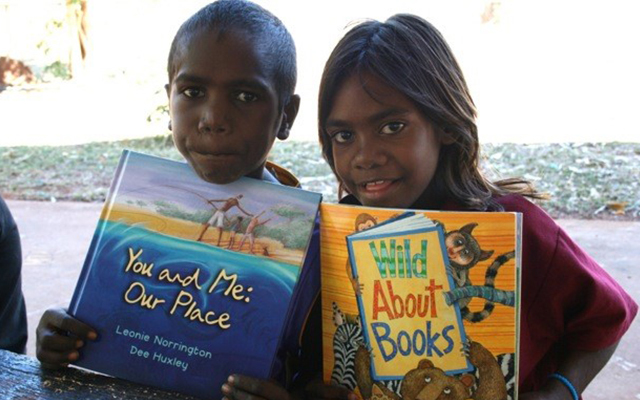 Given these figures, it is unsurprising that only 36% of people in these remote communities have access to a library. As a nation, this is not something we should simply ignore. In 2008 the Government committed to reducing indigenous disadvantage over a range of areas including education and health in a strategy called ‘Close the Gap’. 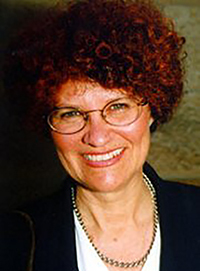 However change can be slow to occur, and in the interim children are falling through the cracks. 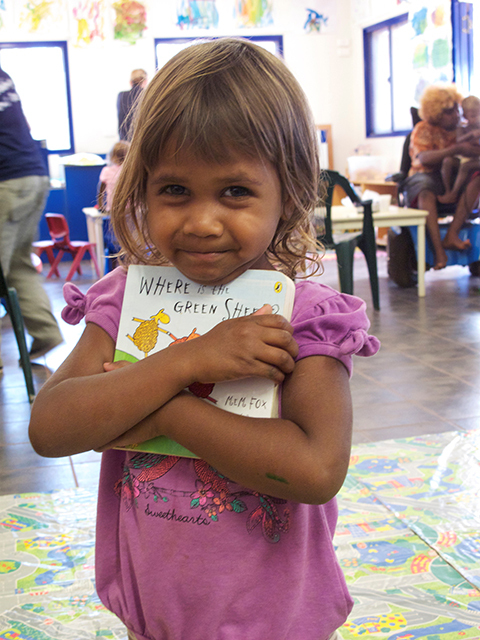 Fortunately there are charities like the Indigenous Literary Foundation (ILF) who are working tirelessly to help Indigenous children get access to inspiring books so they can learn to read. And on September 2, they are inviting you to help the cause by participating in Indigenous Literacy Day. What is the Indigenous Literary Foundation? 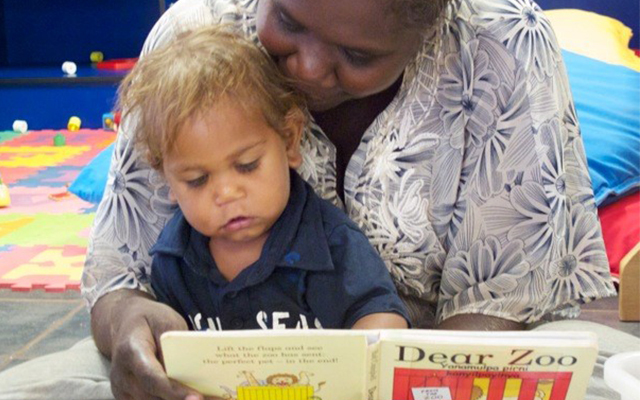 The ILF is focused on helping to raise Indigenous literacy by exposing children to a great selection of books and reading tools to spark their interest and imaginations, fostering a lifelong love of literacy. They also work with communities to translate books into English and Aboriginal languages, as well as to support community story writing and publication. Why is Indigenous Literacy Day Important? Imagine for a second that you could not read or write. What would your life look like if you didn’t know what signs said? What your medical form said? What instructions said? What your teacher wrote on the board? What your textbooks said? What the employment advertisement said? What a text message said? Imagine how many doors of opportunity would close to you. Now imagine the same for your child. This is a reality that so many Indigenous children in remote communities in Australia are facing right now. Providing these young minds with books and the tools to literacy is vital to ensuring they have the best possible chance for a future. 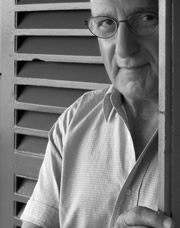 “We learn how the world works, and how we work in it, through reading as well as through watching and listening. A lot of the information we need is in books, or in newspapers or magazines, or on the Internet. Even to send an SMS on a mobile phone we need to be able to read. Reading brings the world to us. But reading can also open up a new world of people and events we have never imagined but which we can enter and become part of. This kind of reading takes us out of ourselves into other times and places, into other skins. Reading is a form of magic. It gives us access to a world that has no limits and where everyone is welcome and can be at home”. Hosting or organising a book swap at your work – This involves registering with the ILF. Once you do that, they will send posters, brochures, as well as a donation box and receipt books if required. All you need to do is ask staff to bring in a book that they have enjoyed but can bear to part with. They make a donation of a gold coin or $5 donation to swap their book for someone else’s. All money raised is donated to the ILF and your workplace will be listed as a participating business and promoted on their website. You could even ask your employer to match any contributions that the staff make! Bookstores – across the nation are also taking part by hosting events, gathering donations and some are even donating a portion of their daily sales. To see if a bookstore near you is participating, click here. Bookclub – If you have a bookclub you could ask members to make a monthly donation to the ILF, that way you all keep people’s love of reading alive. You could also suggest your child’s school host a book swap! 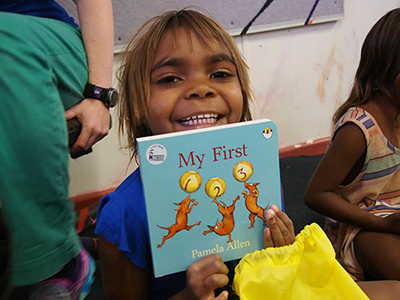 To find out more about this amazing charity, the tireless work it does and how you can be a part of Indigenous Literacy Day, make sure you visit the ILF website at www.indigenousliteracyfoundation.org.au. Have you considered turning that passion into a career? A Diploma of Community Services Work will equip you with the tools, knowledge and skills to make a real difference in the lives of others.